Stairways are an essential part of any escape route and should be kept clear of obstructions. 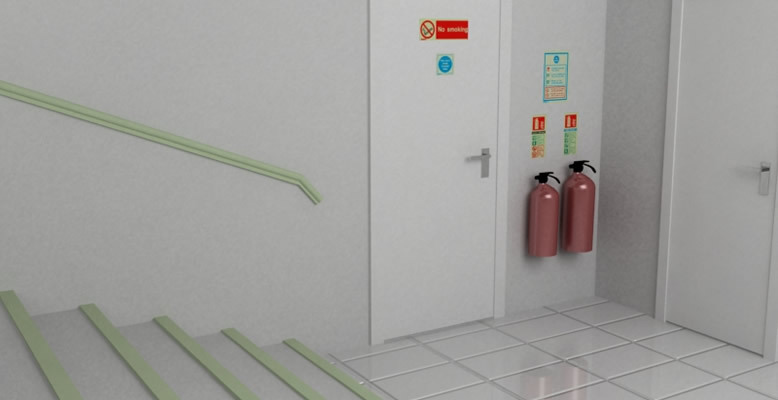 They usually contain limited fire risks but are a key location to fire extinguisher access from adjoining locations. Stairways usually contain general fire risks from things such as carpets, wooden banisters and furniture. Class A - Suitable for solid combustible materials such as wood and textiles, these materials are often found in stairways in the form of carpets, wooden banisters and furniture. 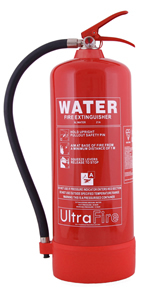 Water fire extinguishers have excellent penetration properties and quickly create a cooling effect. Water is a natural material and does not create any mess and long term damage when the extinguisher has been discharged. Water is an electrical conductor making water fire extinguishers unsuitable for use on electrical fires or near electrical equipment. Water fire extinguishers only have an A rating and are not suitable for any other type of fire. With a good fire rating against class A and class B fires, foam is commonly used in stairwells and on landings. Class A - Suitable for solid combustible materials such as wood and textiles, these materials are often found in adjoining rooms and areas. Class B - Suitable for flammable liquids such as petrol and oil, these materials are often found in adjoining rooms and areas. 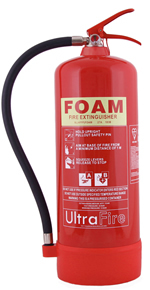 Suitable for use indoors and has the best firefighting capabilities of this range, foam extinguishers are ideal for reception areas. Foam has very high ratings and is probably the best and most accepted fire fighter in an reception environment. Stairwells do not usually house many fire risks but if you need a wider protection then you may be best looking at water mist extinguishers. 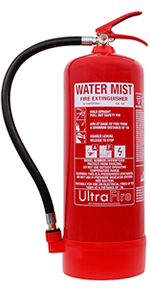 Water mist fire extinguishers are suitable for use on class A, B, C, F and Electrical risks and are ideal for use in stairways as multi-purpose extinguishers.